This page is dedicated to the incredible beauty and lyrical nature of the ‘Language of Light’. This universal language in it’s many forms is known throughout all of God’s creation by all living beings, both physical and non-physical. Although each race or lifeform creates their own unique variation of this language, the highlighted ‘angelic script’ illustrated below is the original language of Creation. It is also known as the Mother Tongue or the Language of the Angels. Each and every being is fluent in this language on a subconscious level, for it is the language of the soul and spirit. It can be read or put into song, written or signed with the hands, but it will also transmit its power silently. I have included some galactic languages/communications and various extra-dimensional languages below for your viewing pleasure. The angelic ‘language of light’ began to manifest itself to me upon my awakening. It was instantly recognizable, as it is to many people, and was equally easy to write and draw. Throughout the years I have learned to decode this language and have met many individuals who can speak it and sign it with their hands. It is quite beautiful to witness and to listen to when you're in the presence of someone who can manifest this. Although the closest match to this language on Earth is Aramaic, I am told that if all the current spoken languages on this planet were blended together, it would manifest itself as the angelic ‘language of light’. 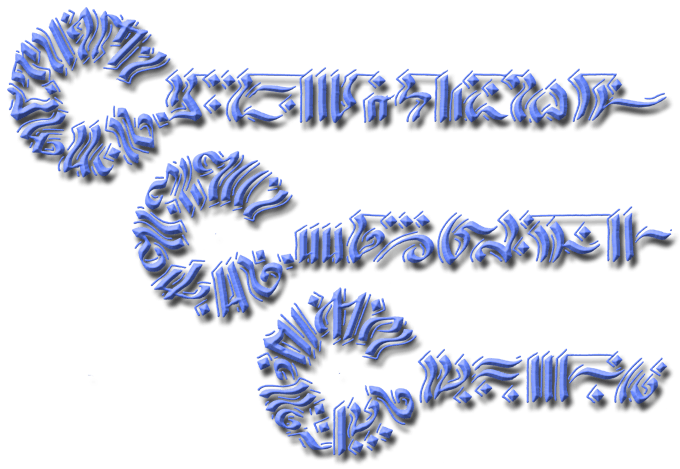 In addition, each of the angelic scripts and interdimensional symbol codes below are ‘living languages’; sending out resonant beneficial frequencies to all who view them. These divine scripts will greatly enhance the creative energy flowing through you and allow you clear connection with your divine heritage and galactic family. As you look at the designs and strips of language below, allow yourself to feel the energy rather than try and figure it out through the mental body. As you will notice, I have put partial descriptions below each design, however the meaning may manifest slightly different for each individual. Its telepathic nature is a direct soul transmission and can only be fully understood through quiet contemplation and connection. Each of the designs is also an acceleration equation, which contains DNA upgrade frequencies and communication matrixes for evolving consciousness and receiving data from other realms. In conclusion, I would also like to say that it is actually more fluid and faster for me to write and draw these languages and symbols than it is to write my primary language of English. It is very similar to the ethereal Music of the Spheres, in that it is perpetual stream of light patterns which is always rearranging and reorganizing itself according to the consciousness of who is tuning into it.